In 2016 I took part as a 30 Days Wild nature blogger - it was immense fun carrying out Random Acts of Wildness and blogging about them every day through June. I will be updating this website with some of the old posts from 2016 along with a few images, and I hope to get involved in a few more Random Acts of Wildness again this June! 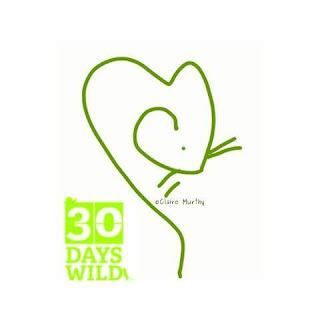 Blogging for The Wildlife Trusts 30 Days Wild Nature Challenge during June 2016.